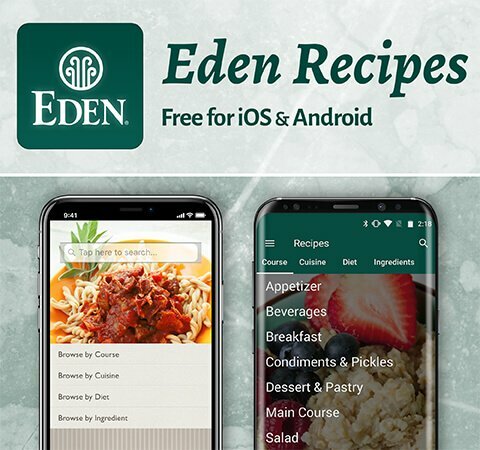 EDEN condiments are prepared with patient wisdom and praxis artistry. 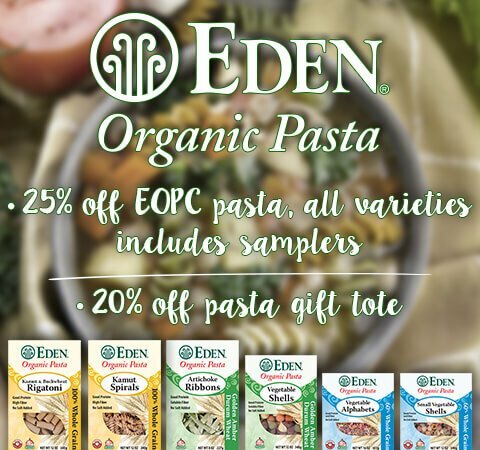 Every ingredient is Eden Foods selected and every one is declared on the label. 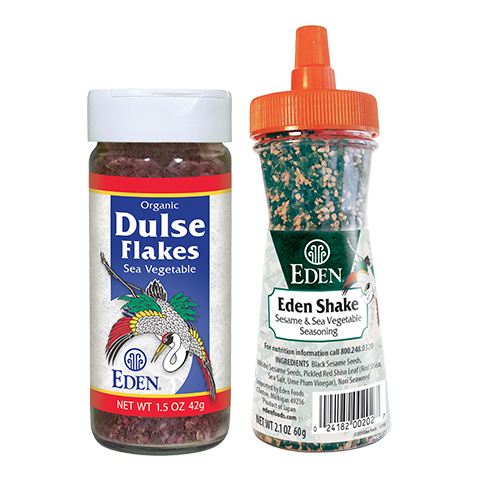 EDEN Gomasio, organic sesame salt is sprinkled on food in place of table salt for flavor and enrichment. Unhulled tan and black sesame seed are dry roasted to release their oil, and slowly ground with oven roasted EDEN Sea Salt. 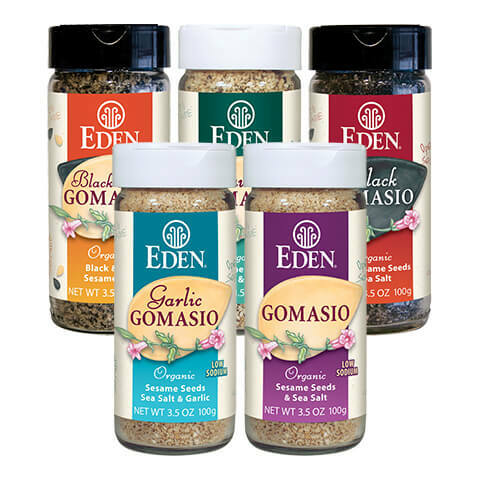 Eden produces five varieties of gomasio ~ Plain, Black, Black & Tan, Garlic, and Seaweed. 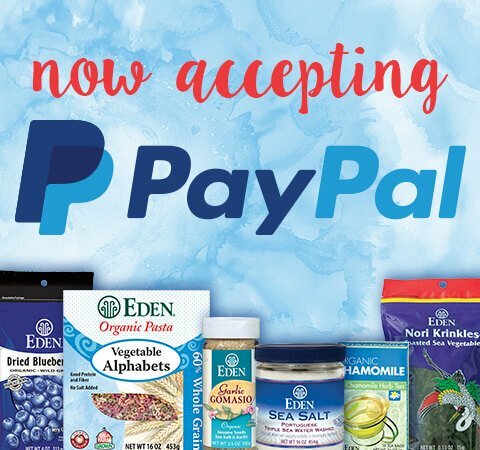 All are rich, flavorful, low sodium condiments. 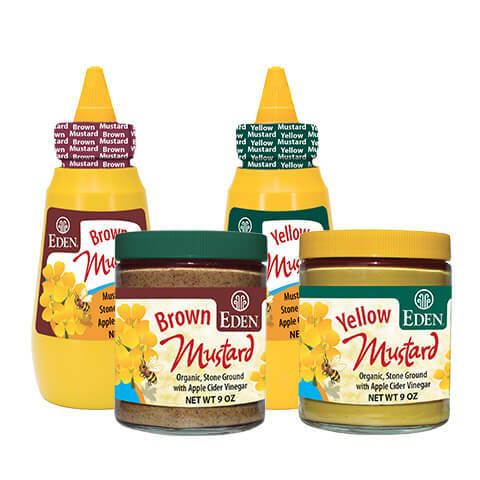 EDEN Mustards, organic - are stone milled Saskatchewan high plains yellow or brown mustard seed with raw organic EDEN Apple Cider Vinegar and a bit of EDEN Sea Salt. Yellow mustard is milder and sweeter, and has added organic turmeric, organic paprika, and organic garlic. Brown mustard is spicier with a pleasant mustard zing. Glass and convenient BPA free squeeze bottles with a twist spout. 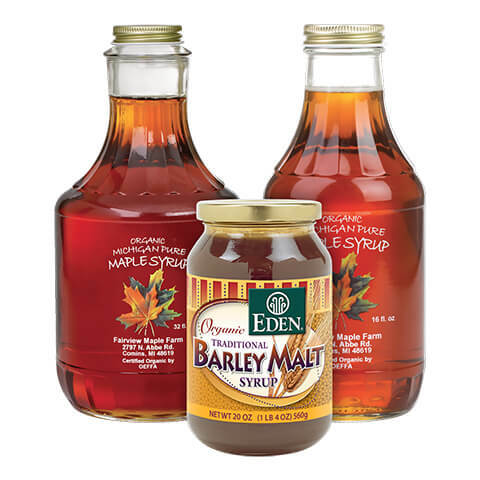 EDEN Barley Malt is organic sprouted U.S.A. malting barley, kiln roasted, water extracted, then slowly reduced to a thick, rich syrup. A versatile sweetener that's ideal for baked goods like spice cakes, gingerbread, whole grain breads, baked beans, barbecue sauce, candied vegetables, and home brewing. 76% maltose. Certified organic, Michigan, Grade A - Amber Maple Syrup is known for balanced deep notes with delicate, lighter maple flavors. Perfect for pancake syrup and is also great for all cooking and baking needs. Smooth, full flavor from northern Michigan trees and a forest family operation. Most fine sea salt comes from the Mediterranean and European coasts. We offer the best from both French and Portuguese environmentally protected tidal flat salt farms. EDEN French Celtic Sea Salt is from the Isle of Noirmoutier, Brittany, France where it is hand harvested and stone ground. 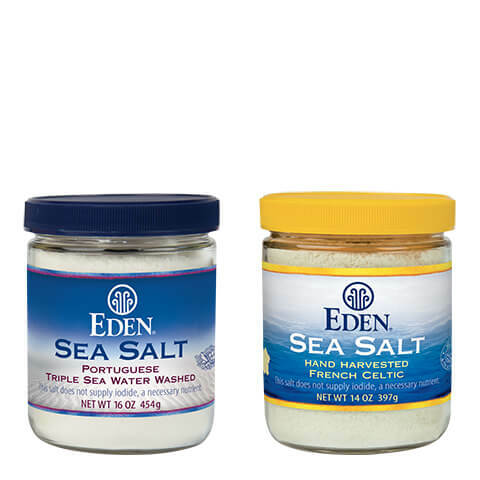 EDEN Portuguese Sea Salt is from the southern province of Algarve at the west entrance to the Mediterranean Sea. It is hand harvested and triple seawater washed for whiteness.